We’ve passed the halfway mark of 2013 and we are thrilled to share these numbers with you. 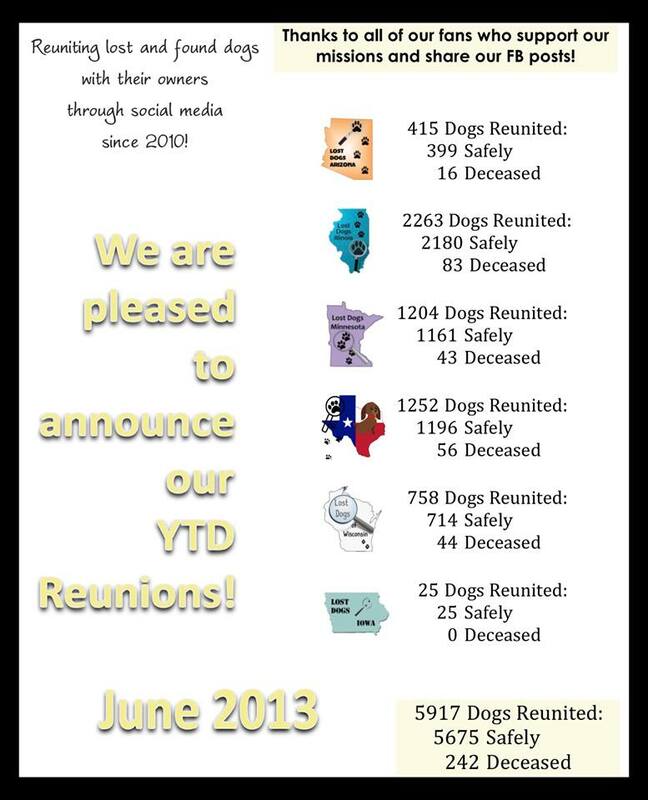 Almost 6000 dogs have been reunited with their families. our hearts go out to the families whose dogs were found deceased. Thank you to the shelter staff, volunteers and animal control officers who watch our page; our volunteers; and most importantly YOU, our fans who share our posts and keep your eyes and ears open for possible matches. You are saving lives!